Fiction and Non-Fiction books for your eBook Reader and your computer. 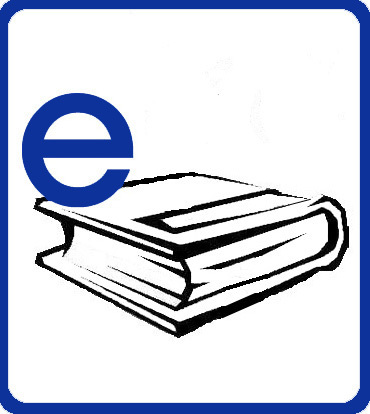 e-iNC Overdrive eBook Collection: Download ebooks and audiobooks to your computer, cell phone, iPod, or ebook reader (including Kindle) from Overdrive. The collection includes current popular titles and grows every week. You just need your library card number, PIN, and internet access to get started! NC Kids Overdrive eBook Collection: The North Carolina Public Library Directors Association (NCPLDA) together with OverDrive and the state of North Carolina has created a new digital resource sharing service for kids’ pre-K through 4th grade, NC Kids Digital Library. Over 3,700 eBooks, audiobooks, videos and Read-Alongs are now available to younger readers via 85 regional, county and municipal libraries in North Carolina through OverDrive’s digital reading platform. These materials are instantly available for every child, at home and everywhere. You just need your library card number, PIN, and internet access to get started! NC Kids Digital Library is sponsored by NCPLDA: NC Public Library Directors Association, NCGA: NC General Assembly, with assistance from State Library of NC a division of the Dept. of Natural & Cultural Resources and supported by an IMLS federal LSTA grant. Open Library eBook Collection: A downloadable eBook collection with books contributed from libraries across the country. Create a username and password to borrow up to five books at a time.Open Library account holders can borrow an eBook from the growing collection of mainly 20th Century titles available now. Books can be kept for 2 weeks and require Adobe Digital Editions. Please note that you must be within the state of North Carolina for the geolocation technology to allow you to access the books and you must create a log-in for the site. NC Live's Home Grown Ebooks: The NC LIVE HomeGrown Collection consists of more than 3,400 locally-published ebook titles. The collection includes titles from North Carolina publishers like Algonquin Books, CrossRoad Press, UNC Press, McFarland, Press 53, Gryphon House, John F. Blair, and Ingalls that are available in perpetuity with unlimited, simultaneous access, which means no holds, no checkout limits, and no wait lists. Immediate access for everyone, at any time, forever. * * If you want to access NC LIVE from home, you will need your library card number. Once on the log-in page, choose Burke County Public Library and enter your entire library card number (no spaces). Call or come by the library today for more information! NC Live's eBook Page: One-stop shopping for eBooks through the NC Live home page. Some of the titles listed on this page do not allow files to be downloaded to a computer or ebook reader; you must read them on the website. * * If you want to access NC LIVE from home, you will need your library card number. Once on the log-in page, choose Burke County Public Library and enter your entire library card number (no spaces). Call or come by the library today for more information! Project Gutenberg: A volunteer effort to digitize and archive cultural works, to "encourage the creation and distribution of eBooks." Most of the items in its collection are the full texts of public domain books, both nonfiction and classics, and can be used on almost any computer or downloaded to almost any eBook reader. National Academies Press : All PDF versions of books published by the National Academies Press will be downloadable to anyone free of charge. This includes a current catalog of more than 4,000 books plus future reports produced by the Press. The mission of the National Academies Press (NAP) — publisher for the National Academy of Sciences, National Academy of Engineering, Institute of Medicine , and National Research Council — is to disseminate the institutions’ content as widely as possible while maintaining financial sustainability. The free PDFs are available exclusively from the NAP’s website and remain subject to copyright laws. Lendle: Do you have a Kindle™? Are you interested in lending and borrowing books with other Kindle™ users? Check out Lendle, The easiest, fastest, fairest, and best way to lend and borrow Kindle™ books. International Children's Digital Library: A nonprofit website created eight years ago by researchers at the University of Maryland at College Park, offers nearly 4,500 free children's books in 54 languages from more than 200 countries, complete with an iPad-friendly interface and an iPhone app.